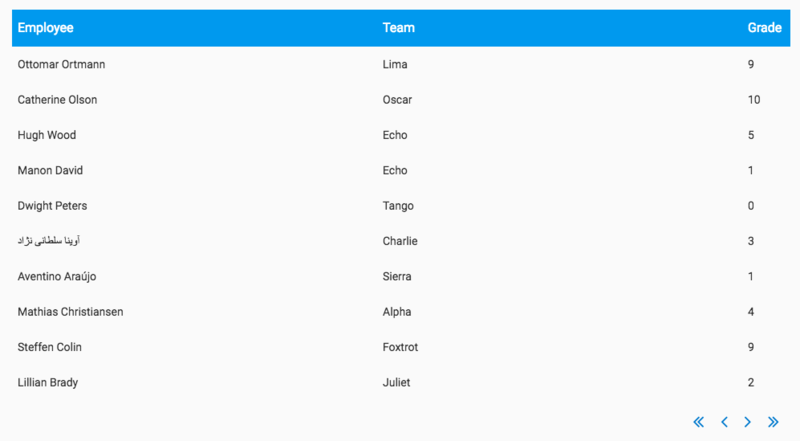 If you’re writing a web app, chances are you’ll have data in tables. And at some point you’ll probably want to show your users a table of data they can page through. Data Grids are an easy way to show data that naturally fits into rows and columns. With built-in support for paging, they can handle large numbers of rows while remaining performant. All of this is covered in our first Data Grid tutorial: Getting Started with Data Grids. Data Grids are only limited by your imagination. Anything you can put together out of Anvil components, you can add to a Data Grid row. And because this is Anvil, you can write Python code to assemble Data Grids and make them behave however you like. 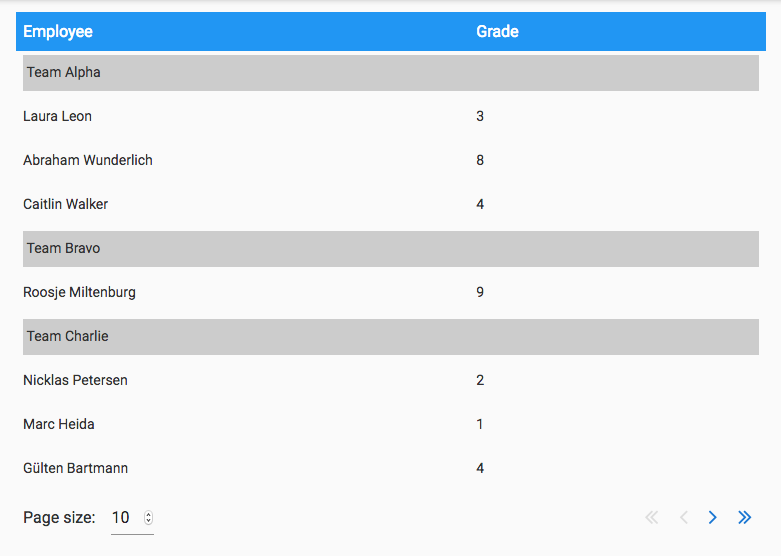 In the example above, we’ve built a full CRUD app in a single component! We’ve got data from a Data Table, displayed in a Data Grid, with a search box, page size selector, and widgets to add, edit, and delete rows. How many T-Shirts do I take to PyCon? When you’re marketing to developers, you go where the developers are. We make a platform for building full-stack web apps with nothing but Python, so we go to developer conferences – particularly Python ones. This time, we can be smarter. We’re a bootstrapped company, so we can’t just blow VC cash on unnecessary mountains of shirts – but we do want every Anvil user to go home with a T-shirt. How can we use this data to work out how many shirts we need? This is obviously a bad idea. If even one more medium-sized man writes an app with Anvil, we’re going to run out of shirts. And feel pretty stupid about it, too. OK, fine, so let’s order 200% of what we expect to need. This will cause us to order 4 rather than 2 Women’s XS (probably sensible)…and 54 rather than 27 Men’s Large (not so much!). That 54th Men’s Large shirt is much less likely to be claimed than the 4th Women’s XS shirt is. It’s the law of large numbers: Larger samples average out more reliably. Wait. I’m sure there’s a more helpful way of thinking about this than waving my hands and saying “law of large numbers”. Can we capture this insight in a statistical model? Let’s imagine that every person who comes to the conference is a dice-roll. Some percentage of the time, they build an Anvil app and claim their T-shirt. What size they want is also a dice-roll: X% of the time they want a women’s Medium; Y% of the time they want a men’s Small; and so on. We can estimate how big X and Y are, because we know how many shirts we gave out at PyCon US and EuroPython, and we know how many attendees were at those conferences. Next month, we’re sponsoring PyCon UK, with 700 attendees. How many men’s Medium-size shirts will we need? We can simulate it by rolling that die 700 times, and counting how many times it comes up “men’s Medium”. 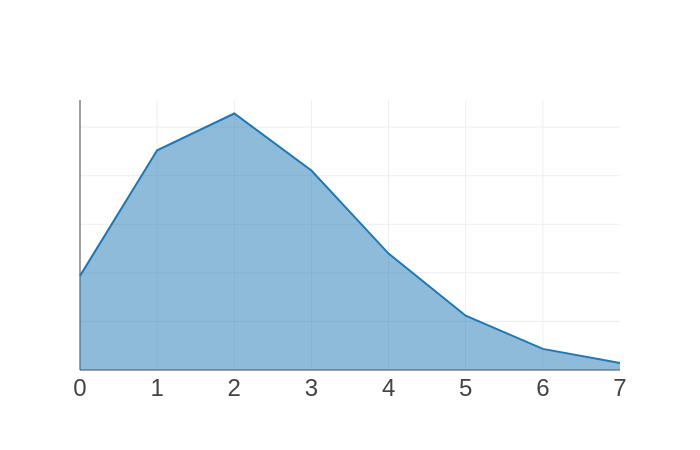 Here I’ve plotted two binomial distributions, using Anvil’s plotting tools. On the left, we’re expecting to give away about 2 shirts, but we could easily need twice that number. On the right, we’re expecting 35, but we’re unlikely to need more than 40 – we’re much more certain with larger numbers. This is the insight we had before – but now we’ve got a model, we can quantify it! 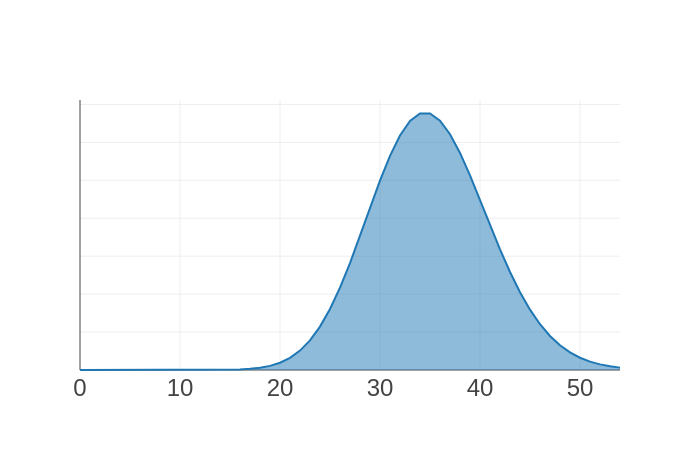 We can wrangle binomial distributions easily with SciPy. We’ll use SciPy’s ppf function to get the 95th centile of this distribution: If our model is correct, there’s a 95% probability we won’t need more shirts than this. So we need to take 10 men’s Medium-size shirts to Cardiff! Feel free to use and share this app. And if you’re going to a developer conference soon, perhaps we’ll see you there! 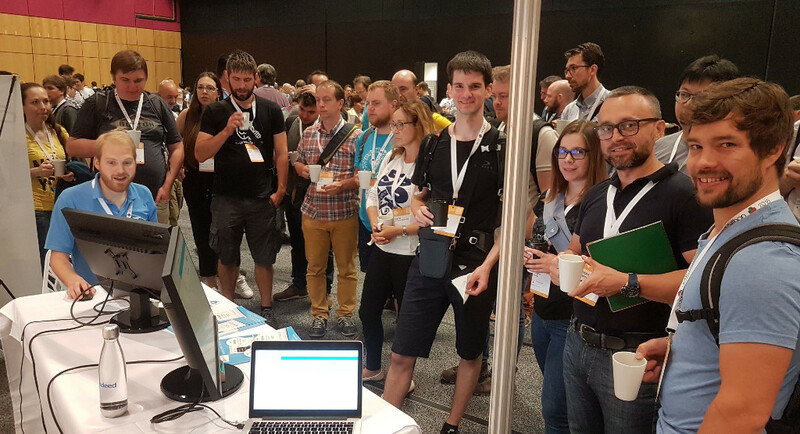 It was great meeting everyone at EuroPython! Next up: PyCon UK in Cardiff. Join us there, where we’ll be showing everyone how to build full-stack web apps with nothing but Python! Does your organisation use Office 365? Now your users can log into your apps with their Microsoft accounts! Microsoft login (or, to give it its official name, Azure Active Directory) is available for all our Business plan customers. We’ve already made it easy to build web-based apps. Now it’s just as easy to send and receive email from your code, with our new Email Service. Check out the code samples, or watch our demo video to see me build an email-receiving app in just a couple of minutes. We’ve made it easier than ever to search the Anvil documentation. Next time you’re in the Anvil editor, check out the search box in the toolbar. You can search our tutorials, reference documentation, and selected posts from the Community Forum. Validating user input just got a lot easier, with our new form validation library. Check it out! We had an idea for improving the saving mechanism, so if you’re on a flaky internet connection saving should feel instant.